This is from the cover of a book written by Kristine Barnett. It tells how she raised her autistic son, Jacob, to be an amazing young man. 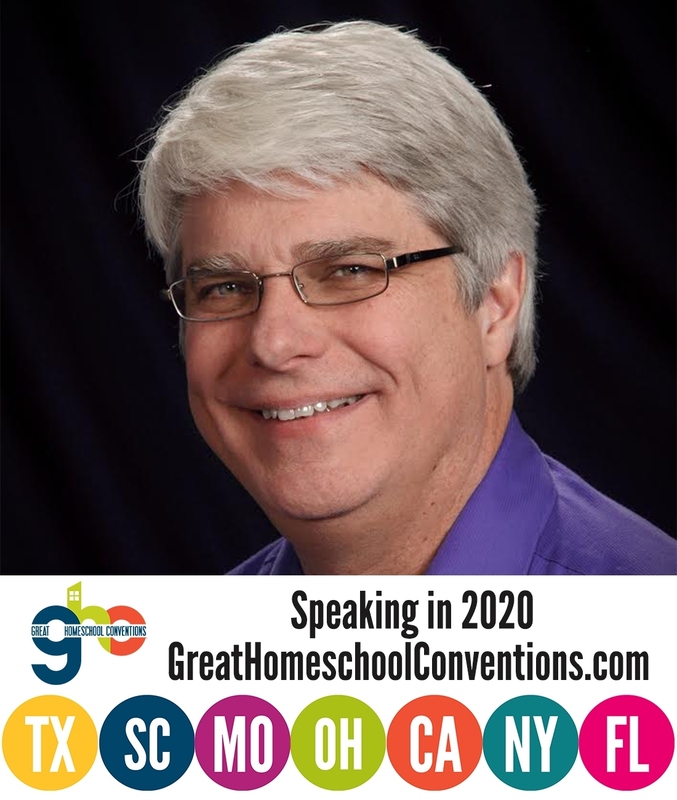 I spent this past weekend in Ontario, California, speaking at the California Homeschool Convention, which is part of the Great Homeschool Conventions series. There are a lot of wonderful things I could say about the Great Homeschool Conventions, but the thing I most appreciate is the eclectic mix of speakers they invite. You see all the “standard” speakers from the homeschooling circuit, such as Jim Weiss, Andrew Pudewa, and Heidi St. John, but you also see speakers that aren’t typically a part of a homeschool convention. This year, for example, they had Holocaust survivor Inge Auerbacher as a speaker. I interviewed her before the first convention, and I later reported on her talk at the convention, which was nothing short of incredible. The other interesting speakers they had this year were mother/son team Kristine and Jacob Barnett. I didn’t get a chance to hear them at the other conventions, but since this was my last opportunity, I made a point to go to their talk. I am so glad I did! If you have not heard about them, Jacob was diagnosed with autism when he was two years old. His mother (Kristine) initially followed all the experts’ advice, which ended up meaning hours of therapy for Jacob every day. Eventually, however, she decided that all this therapy was robbing Jacob of his childhood. As a result, she stopped all the therapy and simply played with him. She blew dandelion puffs in his face, listened to music with him, and helped him search for patterns in the clouds. I was not teaching them. I was letting them. I don’t know much of anything about child development, especially when it comes to children with special needs. Thus, I have no idea how effective her strategy would be for most autistic children. However, she says that it was very effective for those that she helped. I can tell you for certain that it was effective for her son, Jacob, because his talk was one of the best I have heard in a long time. Most people understand that scientists must ask questions. They make observations and then ask questions in an attempt to understand their observations. However, Jacob encouraged us to ask the right kind of questions. Too often, we exclude questions because they aren’t the typical ones that are asked. He suggested that the more outlandish the questions, the more creativity they could spark. I agree. We often don’t even ask the right questions, because we are trying to conform to the ways that others want us to think. Your questions are your own. Ask them freely, without constraint. For someone who is both autistic and only a teenager, this is remarkably insightful. He said that we often hear about the “lone scientist,” but these days, such a scientist doesn’t do much to change the world. There are essentially two reasons for this. First, science has (by necessity) become a collection of very specialized fields. Within each specialized field, there are further specializations. If you want to do serious science today, you need to build a team of people from different specialities so that you have access to the best knowledge regarding what you are investigating. Second, teamwork sparks creativity. The best way to attack a problem is to have lots of people look at it from lots of different angles. The more angles from which you attack a problem, the greater your likelihood of solving it. There is another reason you shouldn’t work alone. Other people can evaluate what you are doing and catch your mistakes. If you follow this blog, for example, you know that a new revision of my high school chemistry course was recently made, without my input. It is particularly awful, and I have to assume that one reason is the book wasn’t the result of a serious group effort. If any group of people with a knowledge of chemistry were to look at that book, they would have caught many of the blatant errors it contains. That’s why I have all my books reviewed by several different people with several different areas of expertise. This doesn’t guarantee that the books are error-free, but it does reduce the number of errors significantly. This is the most important of the three. Jacob says that too many people try to be original by looking at an idea, dismissing it, and trying to come up with something better. The problem, of course, is that unless you really learn the idea first, you won’t know whether or not it needs to be replaced. You also won’t know how to properly go about replacing it. I see this all too often in the sciences. Consider, for example, the hypothesis of evolution (in the flagellate-to-philosopher sense). There are a lot of people who don’t like the idea, so they go about attacking it without learning much about it. As a result, they don’t understand that some aspects of the hypothesis are quite valid, while other aspects are not. Without knowing the valid and invalid aspects of evolution (or any other hypothesis), you won’t know what ideas need to be kept and what ideas need to be discarded. As a result, you most likely won’t come up with anything better. Of course, once you have learned, you also have to rebel. Too many scientists learn and then accept. They work within the confines of the theory they have learned without ever questioning it. As far as science goes, that’s just as detrimental as rebelling without learning first. Science isn’t in the business of proving things. It is in the business of understanding how the universe works, and that understanding is almost always flawed. As a result, nearly every theory needs to be improved. Working within the confines of a theory without ever questioning its validity is not scientific. It is foolish. While Jacob Barnett is obviously very young, he has great insights into science, as well as creativity in general. I expect that he will accomplish some amazing things the older he gets, and in the end, you can thank one person for that: his mother. She realized that a mother’s love and attention was what he needed to overcome his challenges, and she gave them to him in abundance. I’ve found that doing 1 makes 2 difficult. People don’t like it when you ask questions they don’t already know the answer to. Those are some really insightful points, especially for someone so young. Jacob Barnett must have made his mother proud with that talk. I’m especially impressed with the last point, “learn, then rebel.” It strikes me as a more concise version of a sort of motto of my own: “You’ve got to know the rules before you can break the rules.” I apply this motto to all sorts of things (and I can certainly see how it applies to science). For example, about 7 months ago I started working as a paraeducator (that’s the 20 dollar word for teacher’s assistant) in a class with kids with behavior problems. At first, I didn’t really like how the class was being run. It struck me that we were being too restrictive with the kids, behavior problems or no. But rather than make a big noise about this to the teachers and the principle, I decided to wait and “learn the rules” about how a good paraeducator should work in a class like mine. About 6 months later, I was aware of two things. First, many of the policies in our behavior class were actually a lot more necessary and helpful than I had originally thought. Second, I was increasingly being invited to give my input and feedback about the policies I still didn’t like. In other words, now that I knew the rules, I was being allowed to “break the rules” by suggesting different ways to do things. I think this idea is a powerful truth, and it’s good to see that young Jacob has grasped it. Have read Ms Barnette’s book and an earlier book Sun Rise in addition to Raising Blaze and Blaze’s own book. The newest science says autistic/LD children have to move to learn. This is being used to funnel kids away from the school classroom to home study. I would like to see the division between LD and Slow Cognitive Thinking become firmer. There is no benefit to SCT to being lumped into LDs. They are the ‘late bloomers’ of myth and do not benefit from classroom exclusion. Learn the rules before breaking them is what has always applied; I was told that the BS college program was the rules, the PHD was breaking them. Most autism therapy is play therapy. I’m at a loss to imagine how that could rob a kid of his childhood. With kids whose difficulty is moving from repetition of expressions heard from others to actually being able to express what they want, certain therapies do wonders. With sensory integration issues, sensory therapy can helpnin many ways. This resistance to therapy is both at odds with what in most cases does a lot of good and seems unmotivated to begin with, unless it’s one of those quack therapies you pay lots of money for with someone who isn’t even a specialist. I don’t think it was quack therapy, because she says she was following her doctor’s recommendations. In her talk, she said that she thought the therapy frustrated him too much. Of course, this was her perspective, not a trained professional’s perspective. That’s a good point, Dr Jay. She observed the changes in her son at close hand and over time, so in fact she had the perspective of a trained professional in the art of *motherhood*. I am not an expert in your daughter, Dr Jay, but I am an expert in my daughter. Many mothers and fathers are intimidated out of doing what is best for their child(ren) because they feel, rather too keenly, the lack of a name and a badge. What your blog post shows is the power of a responsive parent.